Before starting off, please make sure that you have an active internet connection and Ivacy VPN account. If you haven’t subscribed to Ivacy yet, click here to do it now. 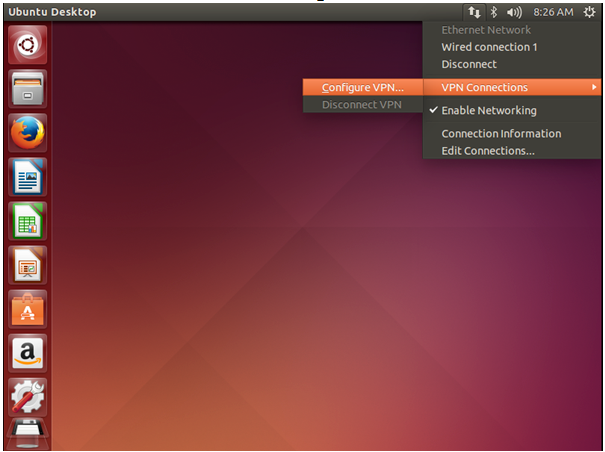 Open Network Settings, hover mouse on “VPN Connections” and click on “Configure VPN…”. 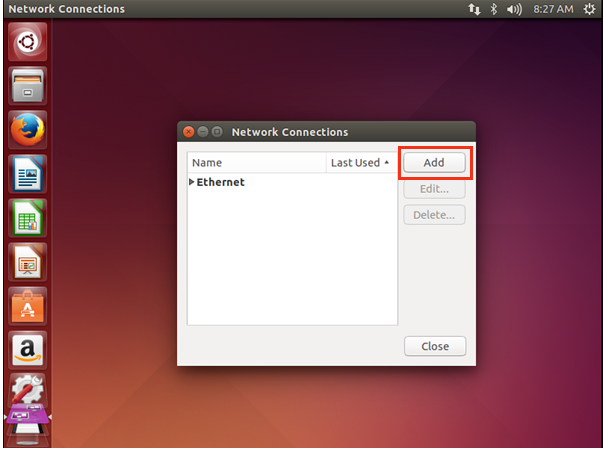 Click dropdown menu to select desired connection type. 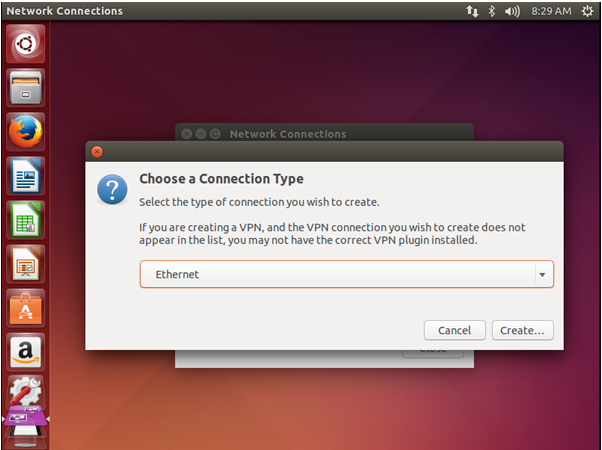 Under VPN select “Point-to-Point Tunneling Protocol (PPTP)”. 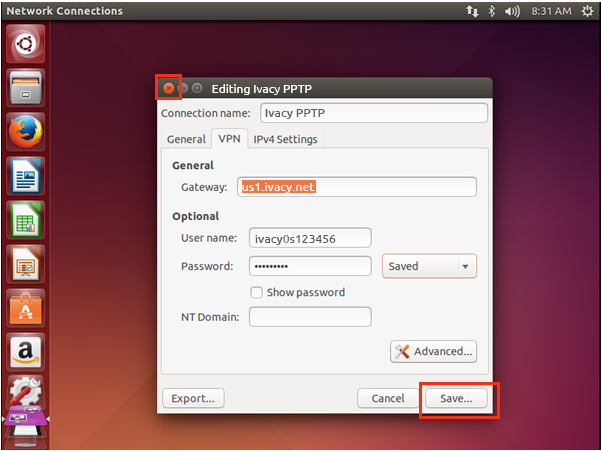 In “Connection name” field you can type any name like ‘Ivacy PPTP’. In “Gateway” field, type or paste your desired server name (the list of all server addresses can be found here). Enter your “email” in the username and password the you chose at the time of registration, and click on “Advanced..” button. In “Authentication”, remove check from “EAP”. 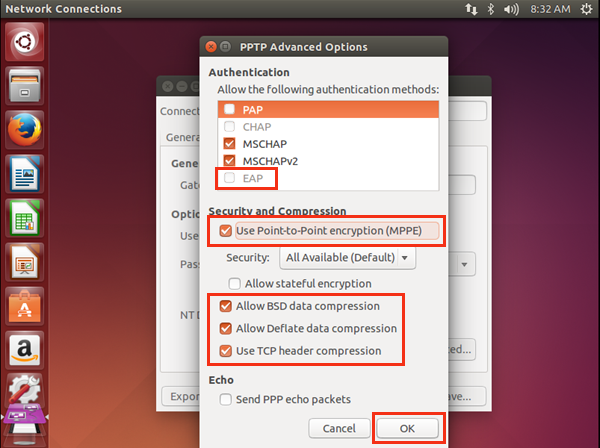 In “Security and Compression” select ‘Use Point-to-Point encryption (MPPE)’, ‘Allow BSD data compression’, ‘Allow Deflate data compression’, and ‘Use TCP header compression. Now click “OK”. Now save settings and close the window. 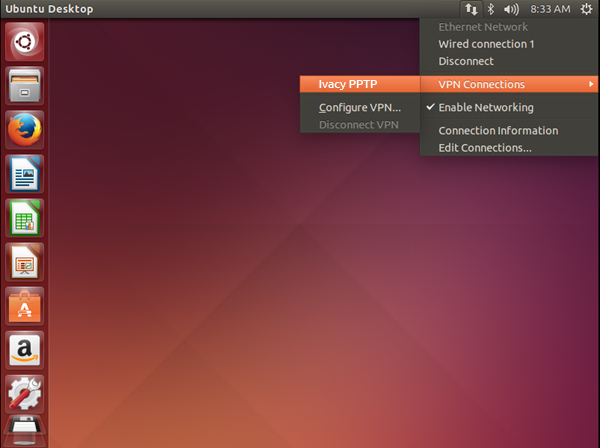 Open Network Settings, hover mouse on “VPN Connections” and click on “Ivacy PPTP”. You are connected. Enjoy Privacy with Ivacy.